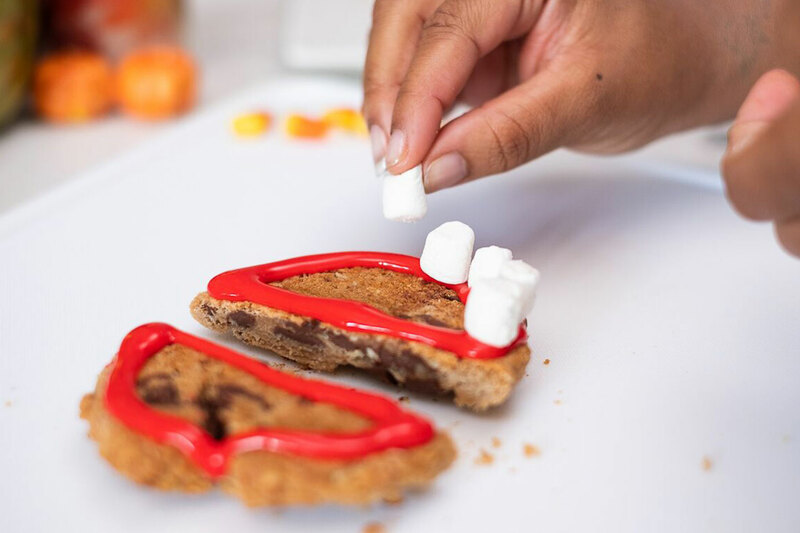 Mini-marshmallows and icing give a Chick-fil-A sweet treat a spooky twist. 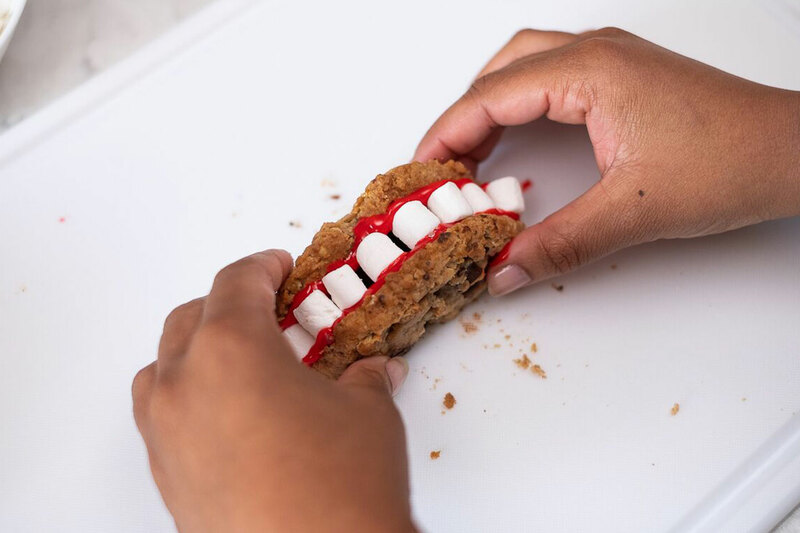 This Halloween, transform the already delicious Chick-fil-A Chocolate Chunk Cookies into a monstrously good treat! No, this is not a trick. 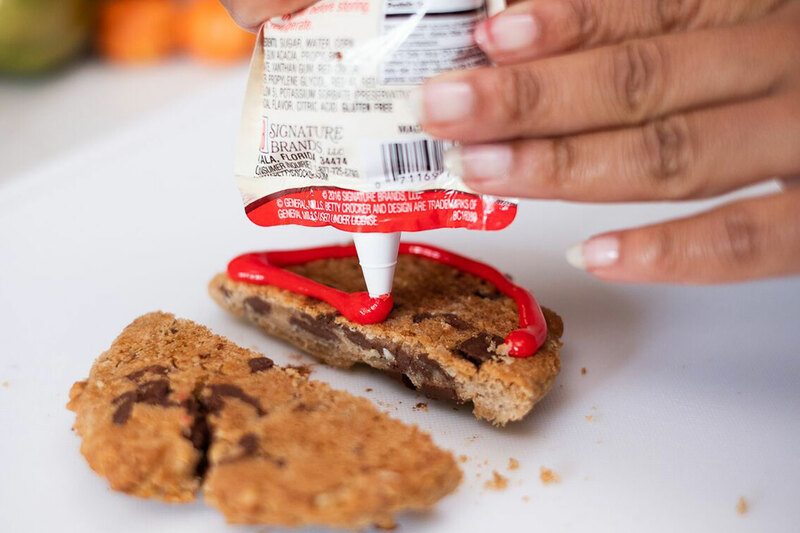 All it takes is a small cookie tray, a bag of mini-marshmallows and icing. 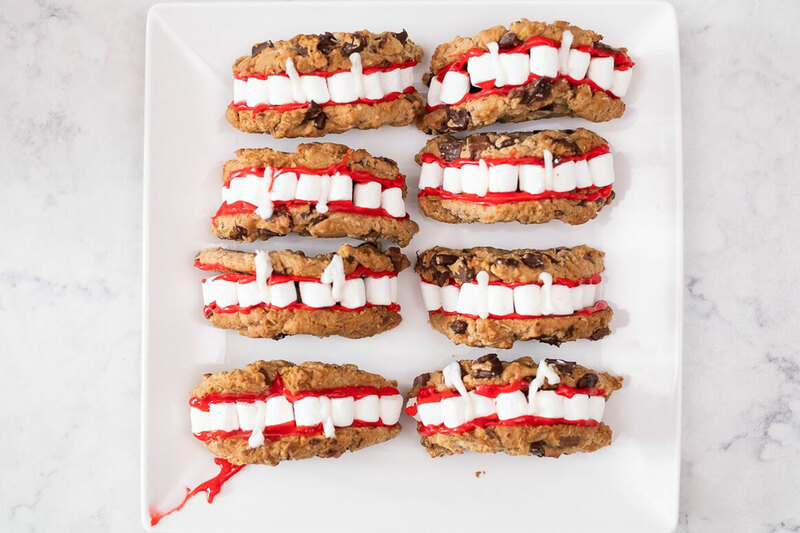 Draw fangs with white icing and enjoy! Complete your Halloween party spread by transforming more Chick-fil-A Catering options into Fruit Tray Jack-O’-Lanterns and Mummy Strips.